Popular cross-platform messaging service, Viber is no more a smartphone messaging service! Viber has received a major update today to expand its network from smartphone only service to computers and Mac’s. Viber is now available for Mac & Windows OS. Users with smartphone can now enjoy the same service on their computers with tightly smartphone integration. The desktop-client of Viber is available to download from their website. Viber on desktop allow users to chat, voice & video call, send stickers, emoticons and photos from their Mac or PC. Viber on iOS & Android has also received major update tonight in the App Store, and Google Play Store to make the new service available for everyone. It comes with good syncing feature that makes the chat available across the platforms with a single touch. It allows you to transfer your live calls from desktop to mobile, or mobile to desktop-client. To enjoy the service, you won’t need to access your mobile. You can deal anything right from your desktop-client. Viber gets a massive advantage over its rival messaging services application like WhatsApp, and LiveProfile. 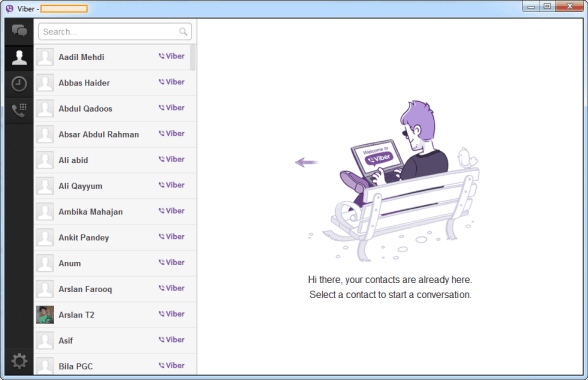 Viber becomes real competitor to Skype with the launch of their desktop client. There are words that paid subscription to service is also on the way for business users. Viber Desktop client comes up with an interactive layout, and features kit to offer more power to its users. The conversation window looks great on the client, and it provides visual notification to users on desktop client. 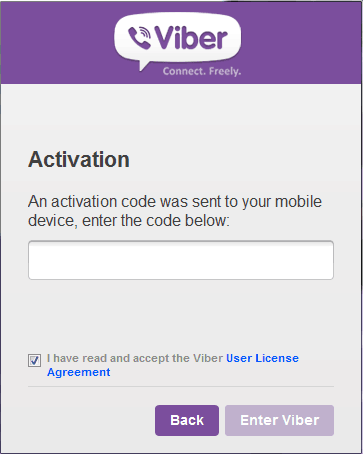 So far, we have activated the Viber for Desktop on our devices, and looking out to get it running. Viber services are indeed going through heavy usage at the moment, and therefore you may experience a little delay in activating your clients. You will need the latest Viber application on your device to make it running on your Windows / Mac desktop machine. For those who have missed the upper-part, the Viber desktop client can be downloaded right from their official website.